The first volume in Leigh’s Dregs duology, set in the Grishaverse, is a heart-wrenching combination of caper novel and character studies. Think “Leverage” meets “Buffy the Vampire Slayer,” but in an alternate magical Russia. 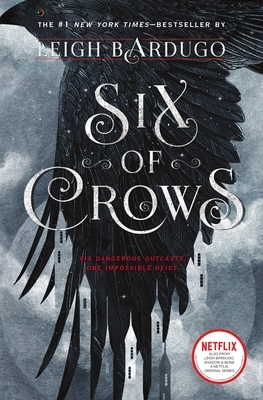 Six of Crows has one of the best opening sentences ever, kicking off a grand magical heist adventure with characters readers will be thrilled to cheer for. This book is so much fun!The first volume in Leigh’s Dregs duology, set in the Grishaverse, is a heart-wrenching combination of caper novel and character studies. Think “Leverage” meets “Buffy the Vampire Slayer,” but in an alternate magical Russia. Six of Crows has one of the best opening sentences ever, kicking off a grand magical heist adventure with characters readers will be thrilled to cheer for. This book is so much fun!